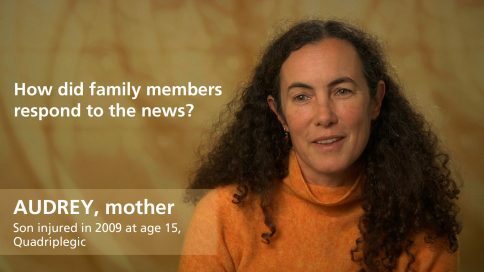 Audrey – How did family members respond to the news? Audrey – What personal support was most helpful to you? Audrey – How have your family relationships changed? Audrey – How have your friendships changed? Audrey – What’s important for parents to understand? Audrey – How has your relationship with your spouse or partner changed? Audrey – How do you handle anger? Audrey – How did you handle going back to school? Audrey – What was your college experience? Audrey – How did you handle going back to work?